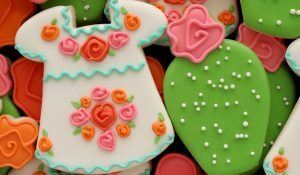 One of the biggest changes that happens when you catch the cookie decorating bug is that you begin to see cookies everywhere. Gone are the days when a tree was a tree. Once you become a cookier, you see life in cookies. I call this phenomenon “cookie think” and I have it in a bad way. 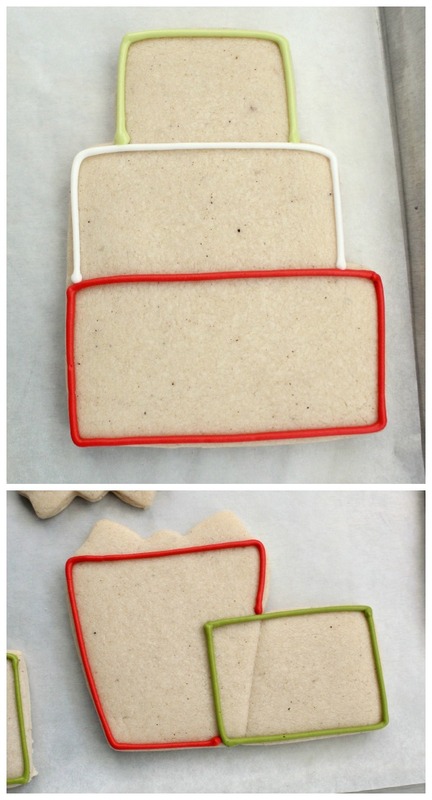 So, when my friend Hani challenged me to find cookie inspiration in a greeting card, I didn’t have to look far. I saved this card from last year because I liked it so much. The fun thing about the stacked gift design is that you can get pretty creative. I picked from my stash of squares and rectangles and added a few other cutters like wedding cakes and gifts. The baking was as simple as piecing them together in ways that I liked. 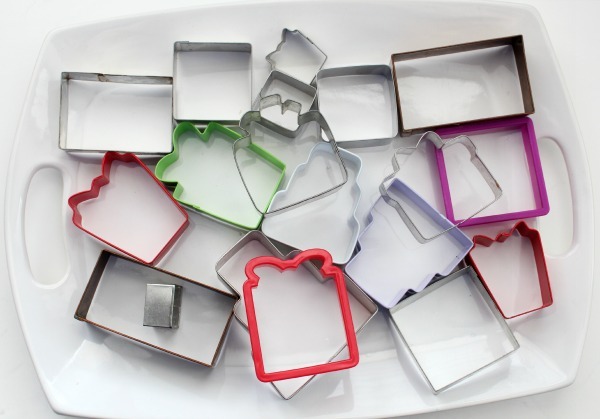 I found I preferred stacking smaller cutters to keep the cookies reasonably sized. Once the cookies were baked, they will look something like this. When it’s time to decorate, be sure to consider the design before outlining. Some are pretty straight forward, but for other 2you’ll have to decide how you’d like the boxes to be layered in the final product. Aside from a few stencil mishaps, I had a pretty nice time decorating these. It’s hard to pick a fave. If you need help creating the colors that I used, click here. 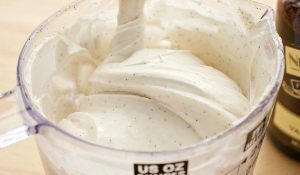 For instructions on creating a burlap texture with icing, click HERE. 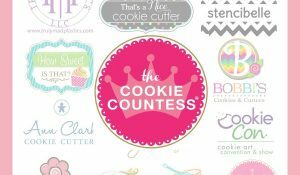 Anywho, I mentioned “cookie think”, right? Well apparently I’m not the only one with this affliction. There are at LEAST twenty-one more of my cookie friends with the same disease. 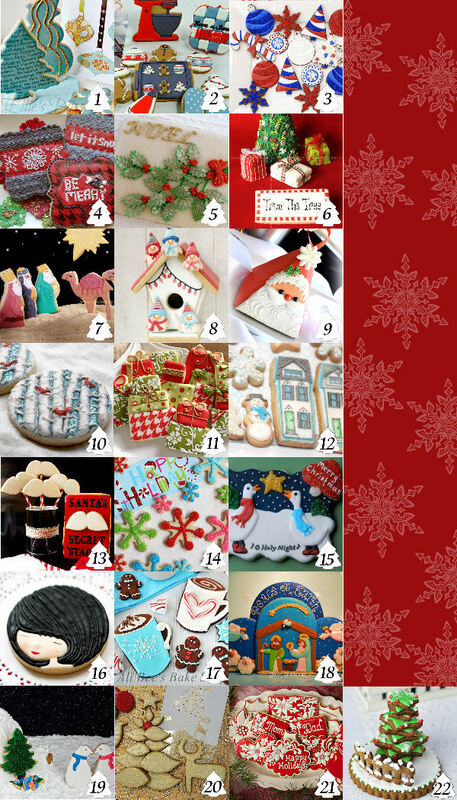 Be sure to go check out their greeting card inspired cookies too! I’m still a busy, busy little Christmas elf so keep your eyes peeled for more Christmas cookie cheer! These are awesome! I love the colors! You make me want to do houndstooth designed wrapping paper this year! 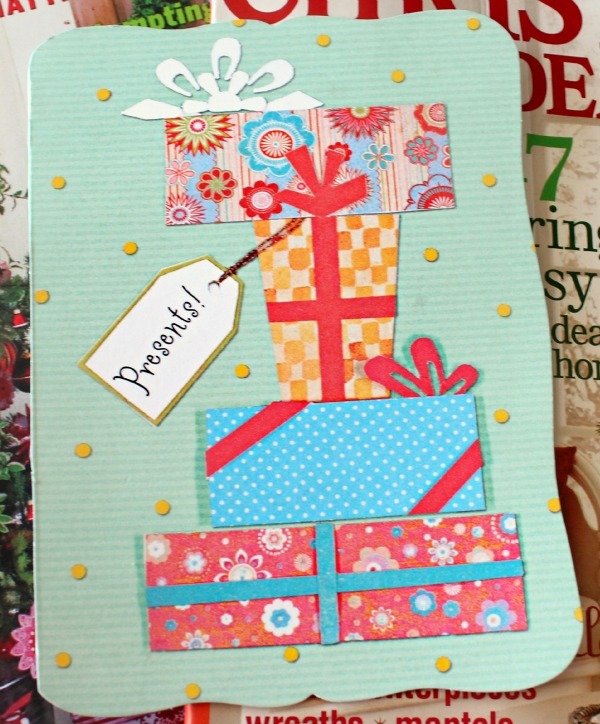 Or maybe I will try to find the green with the stenciled flower wrapping paper! lol It was fun working on this project with you! Merry Christmas!! Oh, gosh, these are beyond beautiful … from the color palette to the designs. You are amazing, my friend! You really have the cookie gift!! I never can get my icing and decorations that nice on cookies!! I love the cookie presents!! I’m going to check out your cookie friends! your stenciling looks perfect my dear! Happy holidays! These are beautiful! I know what you mean about seeing everything in cookie form, I’m the same way….but with cakes & cake pops 🙂 What did you use for the Houndstooth? Where can I find that stencil? You know why it’s “hard to pick a fave”? Because they are all stinking brilliant! 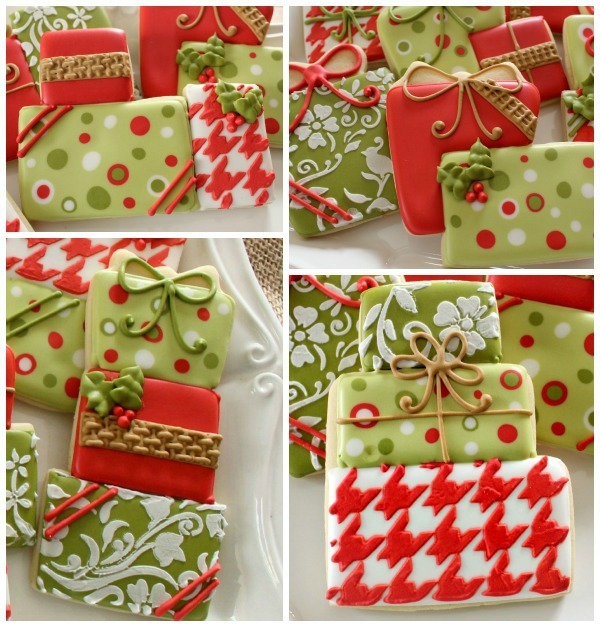 I love the spin on the traditional red and green palette, the softer, warmer green you used is beautiful; then the added texture of the ribbons and bows: an absolute feast for the eyes. Amazing job as always. Beautiful and so festive and clever I’ll put them on my to do list. Love all the patterns on the gifts, Callye. It was fun doing this project with you. Merry Christmas to you and your family. love all the different designs on the packages! Only you can take squares or rectangles and make this fabulous. I especially love the color combinations on these, such a great set Callye! Thanks for being part of the project. I’ve always wanted to do a set of stacked gifts but decided it was too much work. And yours must have taken forever – they are just beautiful. I would love to get any one of those gifts this Christmas! Perfectly put together, and gorgeous! I would expect nothing less:) BEAUTIFUL color combination! Cookie gifts are THE BEST! Oh my goodness Callye! These stacked gifts are mouth-dropping gorgeous. So much work to do all the different designs and stencils but man, the effect is beautiful. If you ever retire from cookie decorating (heaven forbid) you certainly would be an asset to the world of designer gift wrap. I love these. I love the different shades of green you always do. I have the hardest time mixing greens to the color I want. LOVE!! How did you do the houndstooth? Was it a stencil, or did you just use your steady hands? Oh Callye – they’re GORGEOUS! These are going right up to the top of my favorite Callye cookies ever! I love the colors, the textures, the combination of patterns! WOW! So awesome to get to work on a project with you! Have an extra special holiday with your darling family! I can’t pick a favorite either…but the houndstooth pattern and embellishments make me swoon! So beautiful – gorgeous – I don’t have adequate words! Getting an email notification of a new post from you makes my day – so happy to see your amazing work so frequently! Thanks so much for sharing your talents and creativity! It brightens up any day! Love them all! Especially that houndstooth stencil! I think that might be on my xmas list! Wow! You are amazingly talented. Once again I am blown away by your creativity! I really want to find some time to try the raised stencil designs; maybe for Hanukkah. 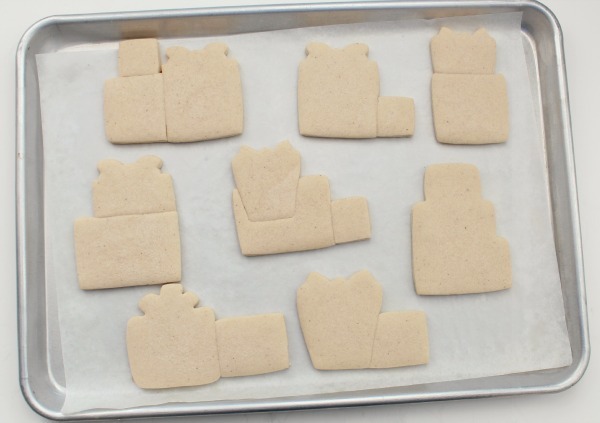 The dreidl and menorah cookies could certainly use some style! simply amazing. Love the colors. 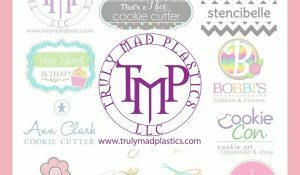 I am a pinning machine when I am on your site. Can’t get enough of all of your creativity. 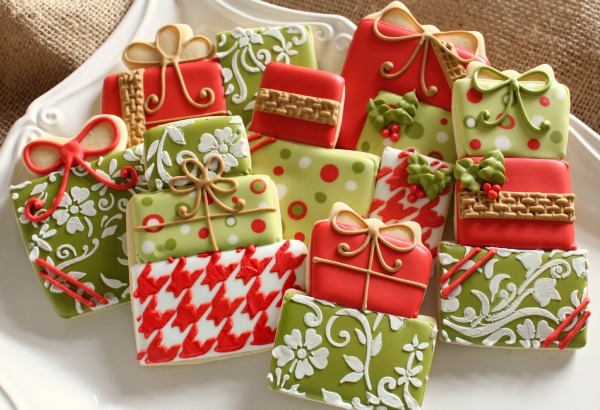 Still have not tried my hand at some of your cookies ( I am a caker) but it’s on my list one of these days. For now, just dreaming and browsing around your site. Love it. Gorgeous! I may need to add some presents to my Christmas collection this year! How is the world do you do the houndstooth pattern? Just gorgeous! Simply amazing! Love all the details! I am SO impressed with your delicate stencil skills! I’ve figured out how to use the big ol’ stencils, but the ones with the tiny perfect lines still elude me. These are SO fun! PS — I LOVE the burlap accents!! LOL…I’m not so good…I am just good at faking it. Thanks, G! Love these! Just fabulous! You are an incredible talent! Thanks for a wonderful and informative blog. I look forward to reading it every day! When I tried stencilling, the stencilled area dried rock hard and my family complained. In fact, any small dots and such dry too hard. What am I doing wrong? I would love to include you and a photo of this on my “friday link” roundup. ok to steal a photo? 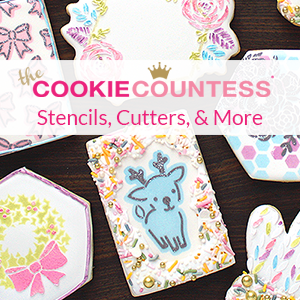 When cutting and pasting cookies together … do you need to do anything to prepare them before you put them in the oven? Or, do you just place them next to each other and they just bake into each other? What kind of cookie dough are these make out of ? 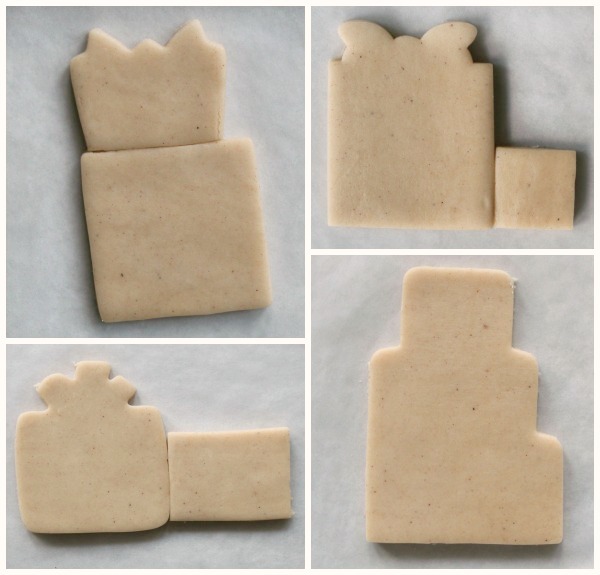 they are beautiful, never tried doing cookies, but my grandkids have asked me to make them some…and I love these. Thanks great idea to gift cookies to someone.